On the 1st January 2016 a new law, N° 2014-617 came into effect regarding inactive bank accounts and life assurance contracts that are unclaimed. The objective of this law is to invite banks to detect the inactivity of accounts (or safety deposit boxes) that they hold, to investigate the reason for the inactivity that could be due to the death of the account holder or due to an oversight on the account holder’s part, and to inform the relevant parties of the potential consequences of this inactivity. Therefore, any sums held on an account for which the account holder (or the mandatory or the beneficiary) has not made themselves known to the bank for 10 years will be transferred to the Caisse des Dépôts et Consignations. 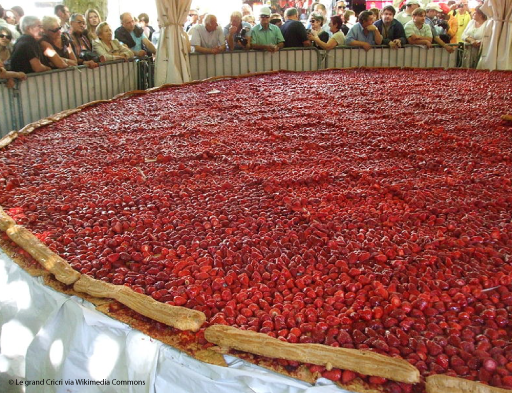 On the second Sunday in May, my local town of Beaulieu celebrates the strawberry with the baking of an 8 metre wide strawberry tart! The medieval cobbled streets are a superb backdrop for the busy market that has a lot of other regional produce, plus music, street entertainment and magicians. Following last week’s High Court hearing, British expats in Europe are now waiting for the court to make a ruling on the controversial issue. The long-awaited legal challenge of the UK government's ruling of disenfranchisement for expats living overseas for over 15 years has resulted in the High Court reserving judgment on the issue. Lawyers for plaintiffs Harry Shindler and Jacquelyn MacLennan argued that expats who’ve lived overseas for more than 15 years were ‘on the horns of an impossible dilemma’ as they would need to relocate to Britain to have a say in their own futures as regards work, location and lifestyle. 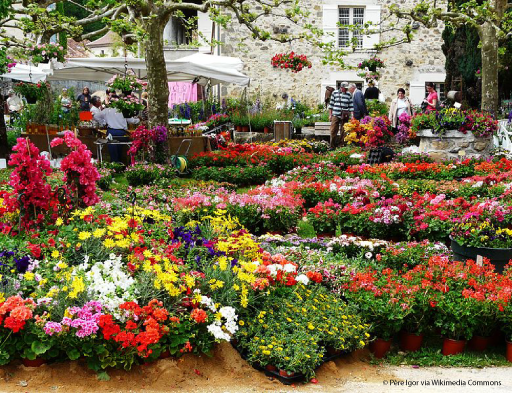 Attracting visitors from all over the world, the village of Saint-Jean-de-Côle will be celebrating 'Les Floralies' the 7th and 8th May - it's a huge flower festival that has been organised for the past 30 years giving it the reputation as the Most Beautiful Village in France. As well as a huge array of colour, the event includes a market with arts, crafts, local products, new floral varieties, unusual plants and garden decorations. Sterling had a good week and strengthened quite considerably by 2 cents against the euro. In monetary terms on an exchange of £250,000 you would return €315,000 as oppose to €310,000. President Obama is set to speak this week and will be backing Cameron’s pro EU stance. The move has angered the leave campaigners as it is believed Obama could sway undecided voters on the convoluted decision. What happened to the rates last week? Monday saw the pound gain 1% against both USD and EUR. The move was caused by a positive rise in the European stock market which resulted in more risk appetite for investors in the market, in turn boosting the value of the pound. Positive UK inflation figures on Tuesday saw the pound continue on its gain against the euro and rose to a high of €1.2558. This was only a momentary increase as continued fears over the Brexit had a bearish effect on the pound and bought it to a low of €1.2488 ending the day just above €1.25. Positive news for China on Wednesday as it bore witness to an 18.7% increase in the Chinese markets which was the largest increase in over 12 months. Relating back to Monday, this again boosted investors’ opinion on riskier assets as we saw the pound gain almost a cent against the euro. 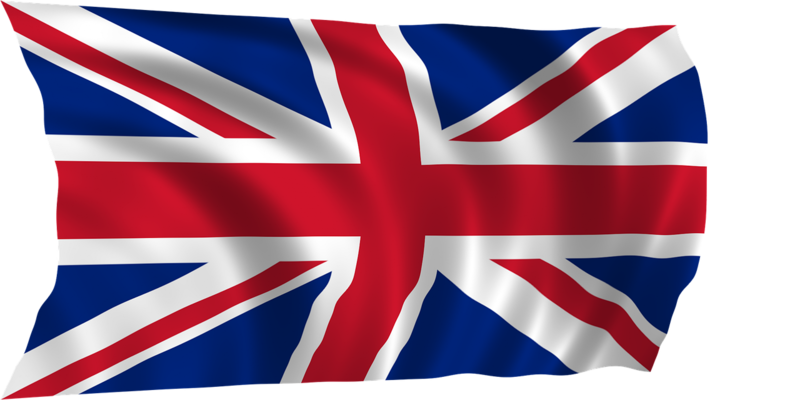 BOE released on Thursday the monetary policy committees vote regarding the interest rate decision which as forecast, the vote to remain at 0.5% was decided unanimously. Many analysts have now pushed back predictions to an interest rate increase to the final quarter of 2017. It was a fairly quite end to last week as Friday saw rates remain range bound between €1.2559 and closed near €1.2540 unfortunately, although sterling performed well last week it is remaining the worst achieving group-of-ten currency against USD this year. World bank President Jim Yong Kim cautioned “the economy is not going to do well with more uncertainty” as investors normally move away from currencies of countries with a more ambivalent political outlook. Will the pound continue to strengthen? A closing point to note. 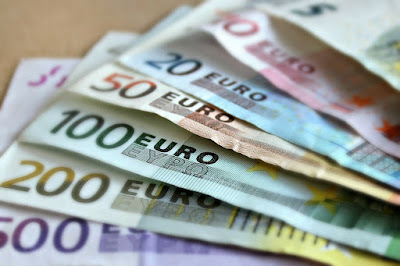 Although sterling has strengthened slightly over the course of the last few days, the general trend has been downwards. However recent data from China has boosted global markets particularly the pound and European stocks so we could well see sterling recover. There are a number of different contracts available to you and each trade is specifically tailored to each person’s individual requirement. 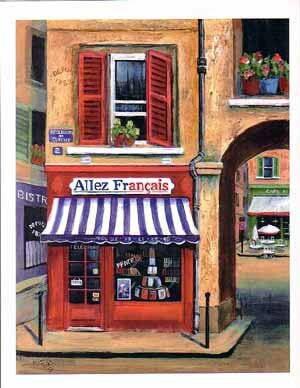 If you are looking to buy or sell any major currency, want to achieve the best rate of exchange and benefit from expert brokers with extensive market knowledge please contact our dedicated broker Adam Bobroff and mention Allez-Français ………..